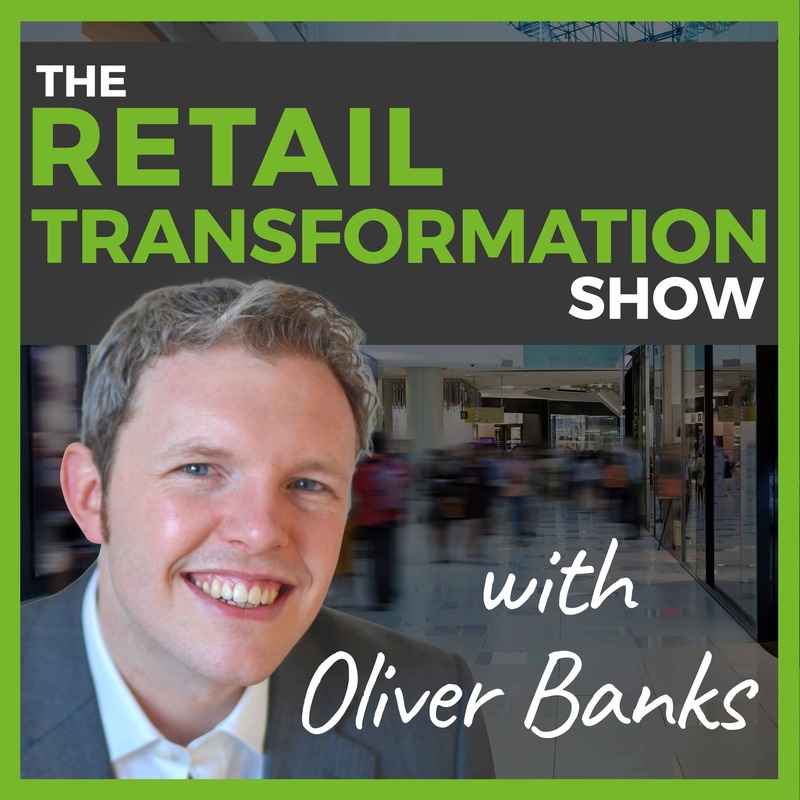 The Retail Transformation Show is a weekly podcast. Each week, in 30 minutes or less, you’ll hear a mix of solo-shows with myself, Oliver Banks, as well as interviews with other retail and change experts and specialists. Subscribe on your phone right now to ensure you get instant access to the latest episodes. Retail operations must work at a consistently high performance to deliver good results. It’s critical that your retail operating model delivers what your ideal customer wants, in an efficient and effective way. 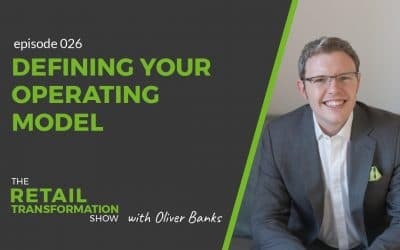 Join Oliver Banks to discover how to take your purpose or vision and translate that into a real, live operation. Struggling retailers have often lost their way and don’t have a clear purpose. But how do you actually find a purpose? It can be confusing and full of conflict. Join Oliver Banks to find out why you must find your purpose and get simple steps to define it and how you can use it to stay relevant for your customers. 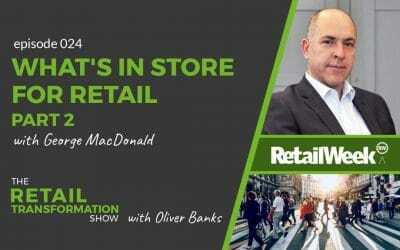 Retail is turbulent right now and on a knife edge between success and failure. Retail Week’s George MacDonald helps you to see a bigger picture view of the industry as and advises you on where to start to be successful. With so much going on in retail, it’s easy to lose sight of what’s actually going on. 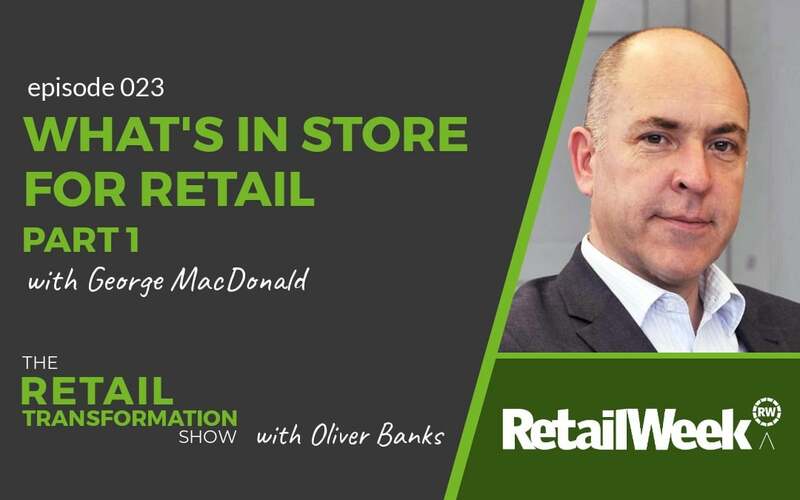 Hear from Retail Week’s Executive Editor, George MacDonald, to take a bigger picture view of the industry as well as to highlight some of the key elements that you must consider to be successful. Retail Week Live is UK retail’s premier event. 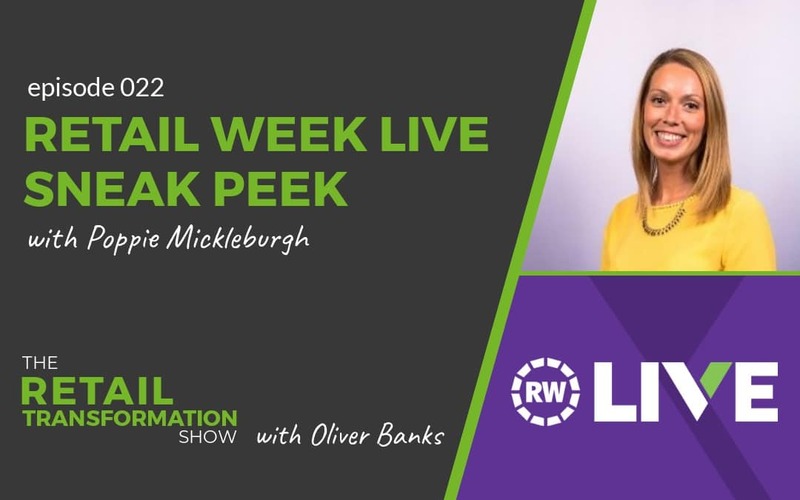 In episode 22 of the Retail Transformation Show, I catch up with Poppie Mickleburgh, Retail Week’s Events Director. Listen in to get a sneak peek to this year’s event. The retail apocalypse is being renounced. Experts declare that retail isn’t dead, but boring, mediocre retail is. But what is mediocre retail? And how will you know if you’re actually boring? 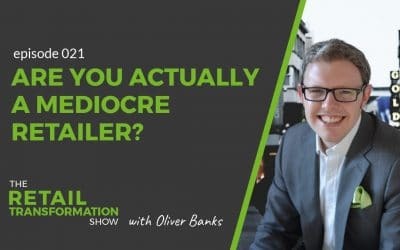 Join Oliver Banks to discover how to assess “mediocrity” and what to do about it. With the online retail market reaching maturity, ecommerce retailers are now looking to physical stores to connect with customers and to grow. 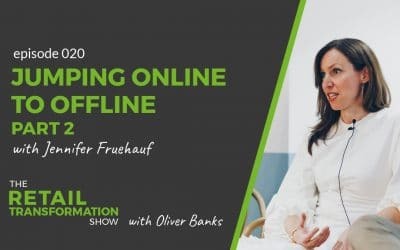 Oliver Banks continues his conversation with Jennifer Fruehauf, exploring the pitfalls and opportunities of moving “clicks to bricks”. Much focus has been on traditional retailers moving online. But, a big trends is online retailers turning to physical stores for growth opportunities. In this episode, Oliver Banks catches up with Jennifer Fruehauf to explore this opportunity more. 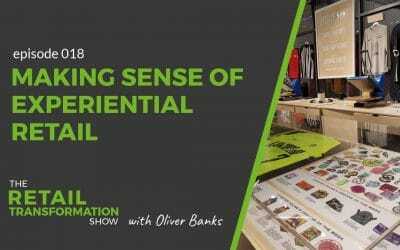 Experiential retail has been one of the hot retail trends for a few years now. But it’s often used in a vague way. 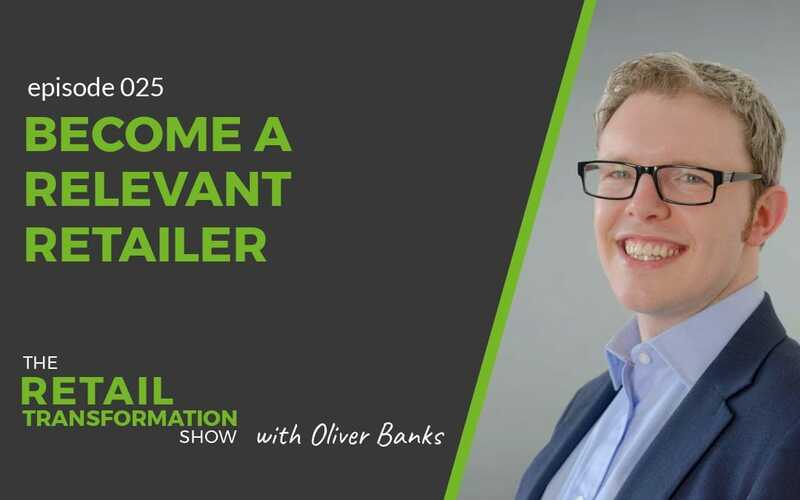 So, in this episode, Oliver Banks defines 4 types of experiential retail and gives you important questions to get started. 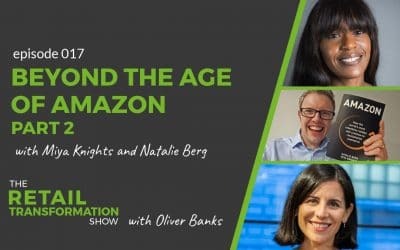 Part 2 of the interview with the brilliant Miya Knights and Natalie Berg, the joint authors of a new book: Amazon. Find out what other retailers can learn from Amazon and why and how Amazon is expanding into different categories.